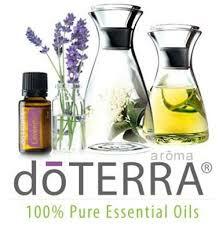 I have to say, I'm not sure where I would be today without doTERRA's "Gifts of the Earth" . Like most people with a network marketing business, I was introduced to the oils by someone I knew, liked, & trusted. Not a venture I would have imagined taking, but certainly turned out to be a smart decision, a REALLY smart decision. I've used essential oils in the past, and while most of them smelled pretty good, I never had the experiences or results that I have had with this brand. They are standardized (Certified Pure Therapeutic Grade) so we can trust what we get with every applications. I know that I am equipped to maintain the overall health of my family with this tool box of natural remedies and I'm empowered to teach others how to create the freedom this opportunity offers. I've met the best people in the world & have stepped into an arena where I am able to show up and serve others... and the pipeline continues. Not only am I supporting a company with high integrity, but it has supported me financially in what could have been difficult times. I'm so grateful for all the magic in my life because of doTERRA.